Have a keepsake made from your flowers from any special occasion. Weddings, Funerals, Mother's Day, New Baby and more! I will use your flowers to create this Single Decade Rosary. 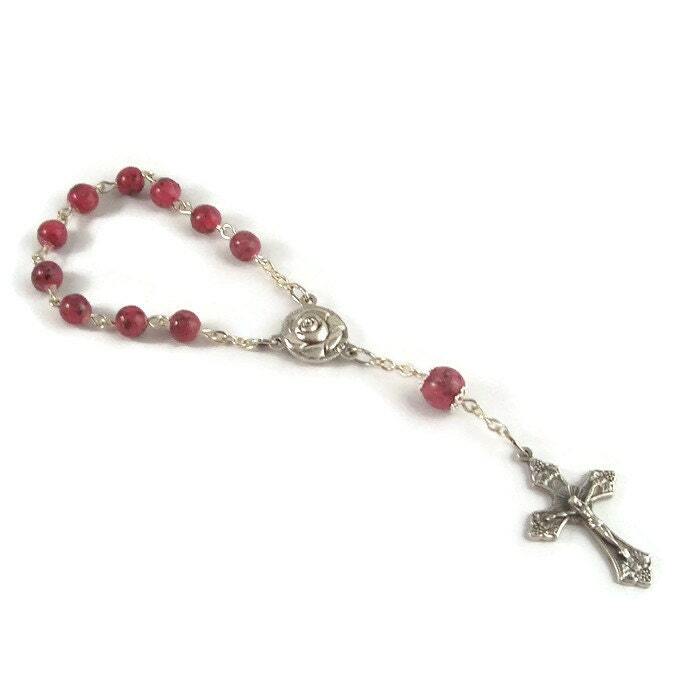 This listing is for one single decade rosary. Please allow 8-10 weeks from the time I receive your flowers to complete your order. I need a 12 average sized rose petals (or the equivalent) for this single decade rosary. it is beautiful!! and it arrived when they said it would, it does take a few weeks but that is understandable, great job and my step mother loved it! I cannot even begin to describe how beautiful this rosary is! I gave it to my niece today for her birthday. The rosary was made from roses from her grandmothers funeral 4 yrs ago! She will have this cherished piece at her wedding this fall! Such a special gift. Thank you for sharing your talent ! Just received our order today and I am amazed! The rosaries are so beautiful!!!! This is such a special sentiment after losing someone so very special to us. The only reason I'm not giving it five stars is because I would suggest giving more details about how the process works and what we will be getting. My cousin included 3 different colored flowers. I only included 1. I wasn't sure how the 3 colors would work. Thought they would be marbled. 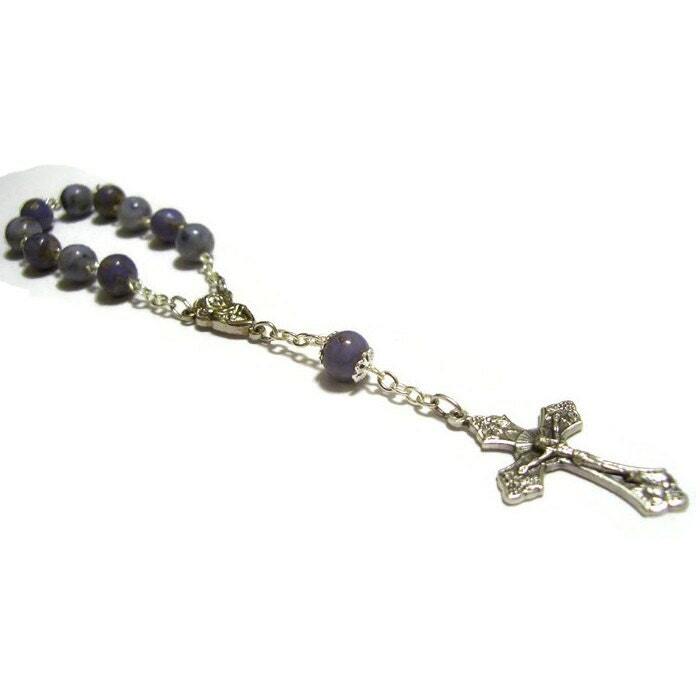 The rosary was made with all 3 differ t colored beads which made it look so so beautiful. I wish I would have done the same. The long wait was worth it. Thank you!